Natalie Portman is marvelous, without doubt, but the film isn’t keen on letting her breathe, feels Raja Sen. There is a lot to be said for a woman who takes charge of the narrative. Jackie Kennedy, in 1963, a former First Lady mourning her husband’s death outside of the White House, isn’t ready to give up her claims on history -- and on myth -- just yet. Jackie, by Pablo Larrain, is an odd little film. It belongs to a trendy new genre popularly referred to as the ‘snapshot biopic,’ wherein the subject of the film is looked on acutely instead of forgivingly, in sharp relief instead of in soft focus. This film is not about Jackie, her life as a journalist, her relationship with John F Kennedy, her grieving, her philanthropy, her affairs or her subsequent other wedding that gave her an O syllable to affix to her name like an exclamation point. No, this film is exclusively about how her world changed the second the man in the car next to her was assassinated. 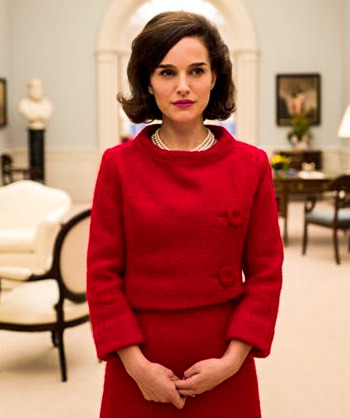 Natalie Portman plays Jackie fascinatingly -- her accent work is superlative even if it grates occasionally on the nerves -- and it’s stunning how the actress opens the character she’s playing up to scrutiny. It’s tremendous, but feels gratuitous. Larrain feels intent on breaking down the glass wall the real Jackie so carefully constructed, on peeking behind every mask and every fib, and while this may signal a journalistic drive to get at the truth, it is actually presumptuous and unspectacular fiction. It serves merely to de-mystify something iconic and replace it with something banal. The reporter is a better character. Played by Billy Crudup in a lovely shoe-on-the-other-foot moment in relation to Crudup being the domineering interviewee in Almost Famous, this journalist listens to Jackie but holds his own and, in his own polite fashion, prods her in just the right fashion. The dynamic he shares with the widow is taut and believably tense, and had he a few ounces more screen-time, it would have been great to see how incisive his questioning could possibly get. Instead, Larrain cops out and presents us some awful confessional moments Jackie shares with an old priest -- played by the late great John Hurt -- and underlines her need for easily-perceived sentimentality by having her lean most heavily on a Broadway song rather than her own pointed words. Portman is marvelous, without doubt, but the film isn’t keen on letting her breathe. It is as if Larrain, so eager to show us his version of the real Jackie, doesn’t trust her enough to tell her own story. A brush would have worked better than a scalpel.